William Gould Dow was born in Faribault, Minnesota. He attended the University of Minnesota, where he received his bachelor's degree in engineering. After serving as an officer for two years with the United States Engineers, and working with Westinghouse Electric and Commonwealth Edison, Dow decided to pursue his graduate education. He earned his master's degree from the University of Michigan in 1929. Dow joined the faculty of the University of Michigan the same year that he received his master's degree. Shortly after joining the faculty, Dow designed a course in physical electronics. The course eventually became required of all undergraduate electrical engineering students at the university. He published The Fundamentals of Engineering Electronics in 1937. Many considered this textbook to be the first widely accessible electronics text. During World War II, Dow worked with Harvard University to conduct research on radar counter measures. Dow accomplished much during his career. He was a founder of the University of Michigan's Willow Run Laboratory (which later became an entity of the Institute of Science and Technology)and one of the founders of the U.S. Rocket and Satellite Research Panel. In 1958, Dow became the chair of the University of Michigan's engineering department. Dow's professional achievements show that he was not only a dedicated researcher, but a devoted educator. 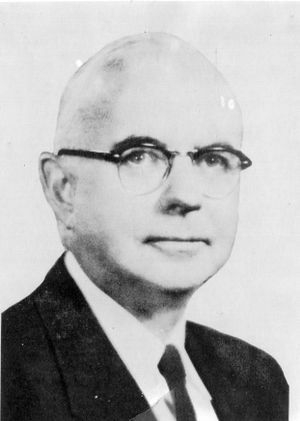 He received the 1963 IEEE James H. Mulligan, Jr. Education Medal. This page was last edited on 15 February 2019, at 20:43.